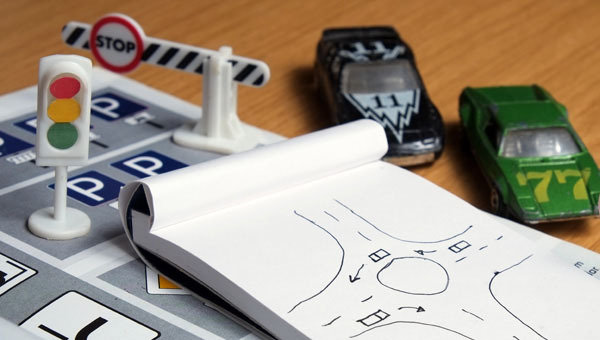 A Driver Education course is the first step to getting your license as a new driver. Teens between the ages of 15 1/2 to 18 must take a DMV-authorized 30-hour course. When you've completed our self-paced online course, we send your Completion Certificate by US Mail. The DMV requires the physical certificate so it can't be sent by fax or email. You use this certificate to apply for your Provisional Driver Permit (or "Learner's Permit") from the DMV. Once you have your Permit, you can start your Behind the Wheel Training. Our California DMV-approved online driver education course is only $49. Taking our course also gives you a $20 discount on our 6-hour Behind the Wheel Training package. If you're already registered, click below to continue the course. Upon completion, we'll send your Certificate of Completion. You'll use that to apply for your learner's permit at the DMV.